A cartridge system was introduced with the launch of the Plus and GX4000 series. This enabled developers to distribute games via cartridges on the new Amstrad. The cartridges are protected with the ACID chip. Some cartridge PCBs don't have any LKs installed, instead, the etched circuit has hardwired connections between some of them. One could scratch them off, and then use the LK soldering points to reconfigure the board for eproms of other size. The EPROMs aren't encrypted, making it very easy to dump their content, or to replace them by other EPROMs. 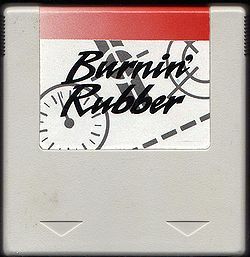 However, all cartridges must contain an ACID chip, otherwise the Plus/GX4000 refuses to work, meaning that unlicensed third-party developers couldn't produce cartridges without buying the ACID hardware from Amstrad. Amstrad released a Demonstration system for his retailer in order to show GX4000 games: the Amstrad CSD (Cartridge Software Demonstrator). It was a 464 Plus motherboard, with an extra "daughter board" allowing the insertion of 12 games cartridges, plus an extra special cartridge acting as an OS. More informations at the Amstrad CSD page. RAM7, a French hardware developer, created a device to hack CPC Plus cartridges. This page was last modified on 13 November 2014, at 06:32.